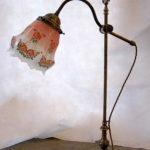 Early 20th Century French Cherub table lamp. 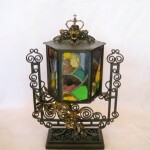 The beautifully shaped gold gilded stem supports a fantastic original cut glass tulip shape shade. 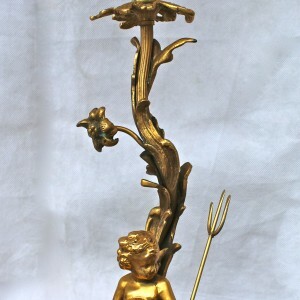 The carved marble base sits a gold gilded bronze cherub.